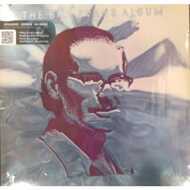 The global corporation Columbia recorded and released only two LPs with pianist Bill Evans. A meagre result when one considers the numerous concerts that the new trio undertook between 1969 and 1974. Together with Eddie Gomez, a phenomenon on the bass, and drummer Marty Mortell, the three established a firm – and ever better – trio. Evans became interested in the possibilities offered by the Fender Rhodes piano and used it for the first time in "The Bill Evans Album". The LP is remarkable in that only Evans’s own compositions were recorded – three previously recorded pieces and four brand-new works. Of particular note is the melancholy "Two Lonely People", Evans’s musical interpretation of a poem by Carol Hall. "Sugar Plum" and "T.T.T." were to remain in his repertoire right up until his very last recordings. Unusual but very commendable because it begins with an ad hoc introductory improvisation is the electric piano version of Evans’s most well-known composition – "Waltz For Debby". The excellent technical facilities at the Columbia Studio were used to the full by Bill Evans, even though they were only recording a small ensemble. And that is why the seven numbers sound far better than most of the trio’s live recordings. And as Bill Evans once said, it was with this trio that he could fulfil his musical ambitions.